It’s been a while since I’ve had an interview on here so it’s my pleasure to have one of my favorite bloggers join us on here. Jason Acidre is no stranger to the SEO world and you’ve no doubt read one of his excellent content pieces in the past month. I figured our readers could use a good break from my rants and take in some knowledge from another great mind in this industry. I’m Jason Acidre, an SEO based in Manila, Philippines. I’ve been working as a Marketing Consultant for Affilorama and Traffic Travis for over a year now. I manage their search marketing and link development campaigns, and sometimes, my tasks there also include implementation on areas like product development and quality assurance. Before I entered the Search industry, I first started as a Professional Counterstrike Gamer – for 6 long years. Currently, I’m in the process of establishing my own SEO agency, wherein I have invested most of my time in training people extensively and in developing other side projects (test/money websites). My campaigns’ are mostly focused on acquiring links that have multiple capabilities, links that are not just focused on improving search rankings and in building the brand’s authority, but also have the ability to generate leads to the site (through highly visible and contextual links), which often require time and effort in building opportunities. If I want to build links and aim to rank for a certain keyword, I will need to create a content that strictly pertains to the targeted keyword, have high potentials of attracting people to voluntarily link to or socially share it, and a content that will have higher response and approval rates when presented in sending out link requests, as this type of content will have higher chances of ranking naturally on search engines. This can also serve as a strong support page when internally linked to the site’s landing page(s). And if I wanted more high-value links and more results from the campaign, I will need to create more content that can develop the brand’s reputation in their industry and eventually attract and acquire more links and leads to the site. If I want to build scalable link opportunities that will improve the site’s reputation/popularity/authority, then I will need to build connections within the community by targeting specific individuals within the field and leverage these connections through externally distributed content, as these connections will help disseminate the site’s web presence and probably allow the site to draw more natural links. I guess the most obvious mistake that others do when it comes to link building is focusing most of their efforts on building one-sided links, links that are solely built and created to manipulate search engine results, and not utilizing those link acquisitions’ fullest potentials, like brand emphasis through branded anchor text links and/or links that encourage visitor click-throughs, particularly from distributed content that can constantly generate organic traffic (like from topically relevant guest blogs, slide presentations, forum threads, etc…). There are also some who centers their campaign’s objectives to only aim to rank for exact-match keywords, which usually result to force link building (in terms of speed, variation and quantity), wherein the exact match keyword links that they’ll be able to build will appear too manipulative to search engines – I personally prefer highly-descriptive anchors as these will look more natural and they do have high CTR, more often than not. · Automated link building (using tools/software) – as Google will never stop in hunting these links down. 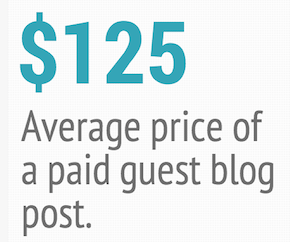 · Article marketing – I would rather invest on content to be created and distributed for guest blogging. Google search – I mostly do my link research through using advanced search queries or search operators on Google search, I also use other international Google extensions when doing extensive link search. SEOQuake – this tool makes my link prospecting process a lot easier, as it shows some of the most vital metrics I use in determining if a site is of high quality (like number of incoming links to the page/site, number of indexed pages on Google and search engine traffic price). This tool also shows these stats instantly on Google’s SERP display and on Yahoo Site Explorer, which makes it easier to skim pages shown on the results. 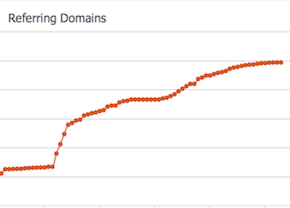 Mozbar – also shows up instantly on SERP display, and allows me to see important page and domain-level metrics such as MozRank, Page Authority and Domain Authority. Opensiteexplorer.org – very useful in collecting link data from competitors, particularly in monitoring their anchor text distribution and the list of linking external pages that can be downloaded in excel format. Google Analytics – allows me to track the best performing links I’ve built by identifying referring sites that are constantly sending traffic that have low bounce rates, staying longer on the page or clicking through other pages of the site and driving unique visitors. This in turn allows the campaign to create a pattern in terms of the placements of links and on which type of sites it should be built. Stumbleupon – this is one of the most useful tools that I’ve been using in finding link opportunities recently, as it is capable of returning exceptional content from both authority and emerging influential sites from any industry. Traffic Travis pro version – the features that I mostly use in this tool for link building is its keyword suggest feature, as it helps me expand my list of search queries when finding for more link opportunities. I also enjoy its link finder feature – when I don’t feel like searching for links manually. My perceptions on Search were entirely derived from the concept of building trust to both users and search engines. I’ve always believed that the more search engines trust your site, is the more that they’ll reward your site with better search rankings, and certainly make your inner pages show up more prominently on their result pages. In my opinion, the future of link building will revolve around “trust”, on how people really see your site, which can be measured through authentic recommendations, citations and participation. The strongest form of link that any site can get – in the past, today and probably in the future – is a link that was voluntarily given by a satisfied user, and that’s where we should all be focusing on. These past 8 months, I have been a persistent advocate of branded link building, as I have somehow anticipated that it will be the new era of online marketing – and evidently, it’s the most sustainable way to build a robust following base on the web as well as the best way to exemplify authoritativeness to search engines. In this case, I see the link game shifting back to the less complex formula of optimizing a website, wherein artificially created links may only be used in improving web authority/popularity, whereas the keyword game might be completely up to the on-page relevance of the content and the authentic, highly descriptive and contextual links that it will get (search engines will certainly find their way in filtering this kind of link in the future or perhaps I’m just crazy lol). You can follow me on my SEO blog – Kaiserthesage, on Twitter @jasonacidre and on Google+. I’m also a contributor at Affilorama’s blog, SEO-Hacker, Traffic Travis’ blog and Technorati’s Business Channel.